The ANCYL and the YCLSA will form a human chain around Luthuli House on Wednesday ahead of a march by the Democratic Alliance for "real jobs". "[We] regard the planned DA march to the ANC headquarters as an act of provocation," said Mzwandile Masina, national convenor of the African National Congress Youth League. "[The] ANCYL... will be out in full force to defend Luthuli House." The Young Communist League of SA said the ANC had done a lot in the past 20 years to better the lives of South Africans. The DA said it would march for "real" jobs at 9am. It initially planned to march to Luthuli House but it was thwarted by metro police. The party would instead march to Beyers Naude Square, a block away from Luthuli House. 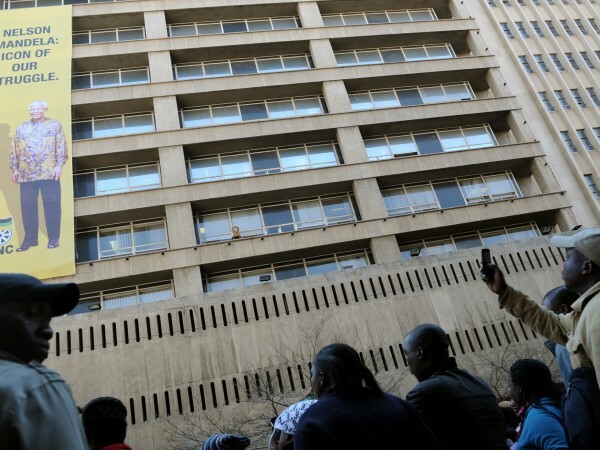 On Wednesday morning, the ANC filed an urgent application in the Johannesburg High Court in a bid to secure a protection order against an alleged threat by the DA. "We have a duty to protect our headquarters, protect our members, and protect our assets," said ANC spokesman Jackson Mthembu. "We are not saying they should not march, but if they pose a threat to our headquarters, what do we do?" He said this was necessary as the DA had secured the services of a security firm "armed to the teeth" with batons, helmets, and shields. Cameron Arendse, spokesman for DA leader Helen Zille, said the party would have representatives at the court, and would fight for their democratic right to march. In a statement on Tuesday, Arendse said the DA had repeatedly said it would hold a peaceful march in downtown Johannesburg for "real jobs". "Any security precautions we are taking are defensive, not offensive. "These precautions are based on a responsible assessment of the risk to our own members and activists," he said. "We are all too mindful of the inability of the SA Police Service and the Johannesburg metro police department to protect our members." He said the application by the ruling party was a last ditch attempt to stop the march, as the ANC was afraid that the DA would show how the ruling party had failed unemployed South Africans.